Be a weekday warrior! 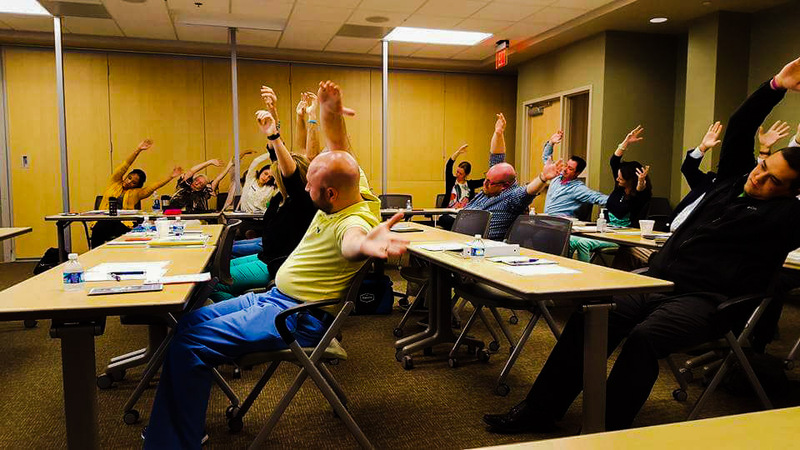 Whether you are a business owner or an HR Manager, be an office hero and offer Workplace Yoga as a weekday escape for your employees. Workplace Yoga has been shown to improve morale, increase productivity and reduce stress levels. With Laugh & Breathe Yoga’s online classes, we can offer pre-recorded online sessions that take your team through the basic yoga sequences, featuring tree pose, mountain pose and downward facing dog – just to name a few! We can also live stream a customized yoga class for your workplace. If you’re interested in learning more about the benefits of offering Workplace Yoga, reach out to us today! 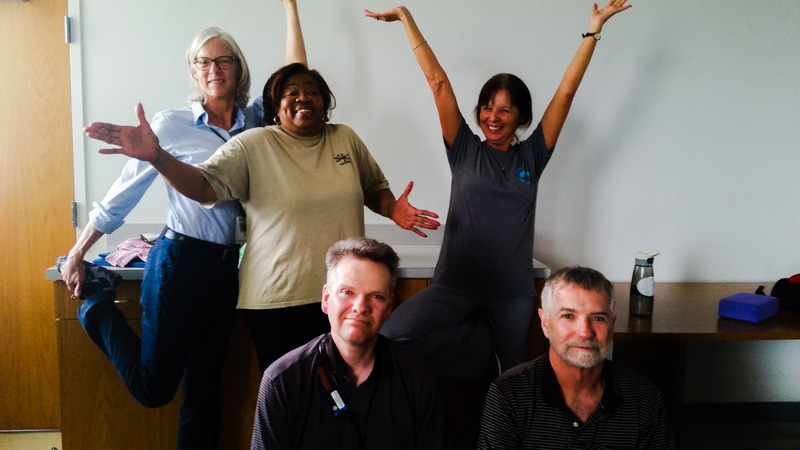 Betsy provided a yoga class for a team building exercise for our office and we had a great time! We laughed and took Betsy’s expert advice. The way Betsy teaches is encouraging and with her help yoga is for everyone! 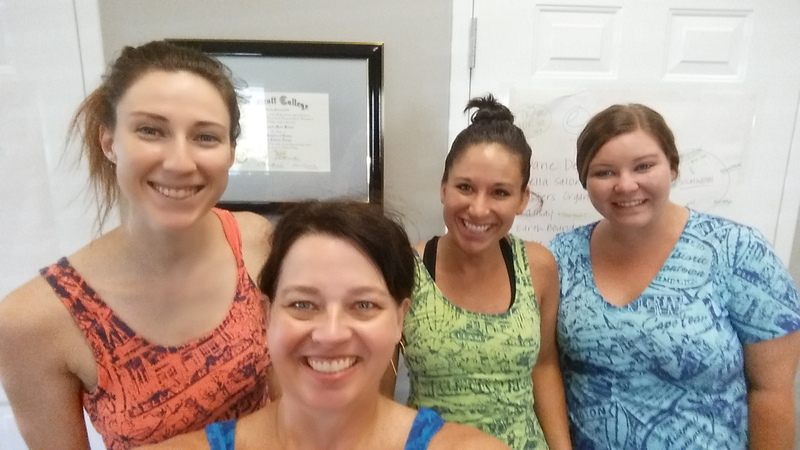 We just spent a Friday afternoon doing a corporate paddle board yoga session with Betsy. The scenery and practice could not have been more beautiful and peaceful. Not only was it a unique and enjoyable activity for us to do, but Betsy even had pictures taken of us from the water that were sent to us afterwards. This experience was a hit, and we can’t wait to do it again!